MONTREAL — Qatar’s proposal to move the International Civil Aviation Organization’s headquarters to the Persian Gulf would be a significant blow to Montreal. ICAO, which regulates safety, security and environmental issues in international aviation, has been a key part of Montreal since the organization began operations in 1947. No United Nations agency so long headquartered in a venue has ever been poached from its host country. A 20-year extension of the agency’s lease on its impressive $100-million headquarters on University St., involving $9.7 million in federal support over five years, has been successfully negotiated by the Canadian government and approved by ICAO Council. The extension agreement lay somewhere near the ICAO secretary general’s desk for signature when along came Qatar, a small but rich emirate on the Persian Gulf, with a proposal to move ICAO’s headquarters to Doha, on the Arabian Peninsula. Qatar is serious — very serious. Qatar has witnessed what its neighbours have accomplished with their investments in the aviation sector. In the United Arab Emirates, Emirates Airlines helped build Dubai into an international economic powerhouse. Etihad Airways is doing the same in Abu Dhabi. Under Article 45 of the Chicago Convention, Qatar needs to convince 60 per cent of the 191 ICAO member states to leave Montreal and move to Doha. To do so, it has promised to build ICAO a lavish palatial headquarters, and to cover its operational costs. Qatar has also promised to relieve certain frustrations that foreign ICAO delegates and staff have experienced here. Qatar is not the first state to make a play for the ICAO headquarters, and may not be the last. If landing ICAO would enhance Qatar as a major centre of the international aviation universe, what would ICAO’s departure mean for Montreal, for Quebec and for Canada? Aerospace is Quebec’s leading export industry, accounting for more than $11 billion annually in sales. It employs more than 40,000 workers in more than 200 facilities in the greater Montreal area. Globally, only Toulouse and Seattle have more economic activity devoted to aviation and aerospace than Montreal. Hundreds of governmental officials and staff from around the world regularly travel to Montreal to serve on ICAO committees. Thousands more visit Montreal for its multitude of international aviation conventions, conferences and seminars. These visitors support local hotels, restaurants and taxis, and invest in apartments and other real estate. For 66 years, this city has been a magnet for international aviation and trade associations, including the International Air Transport Association, McGill University’s Institute of Air & Space Law, the International Federation of Air Pilots Association, the International Federation of Air Traffic Controllers’ Associations, the Civil Air Navigation Service Organization, and the Airports Council International, which moved from Geneva to Montreal in 2010. It is safe to say that all of these institutions are in Montreal because ICAO is in Montreal. Beyond the loss of its 600 employees and a $100-million contribution to the local economy, ICAO’s departure would likely prompt an exodus of Montreal’s other international organizations and trade associations that want (and need) to be close to ICAO, as soon as their leases expire. In addition to the tangible economic losses, there would be the intangible loss of reputation for Montreal as a global centre of international aviation activity. That could dampen future investment in local aerospace manufacturing. Further, the loss of international prestige to Canada would be quite visible. Canada has already announced it will not run for a seat on the UN Security Council in 2014. The world needs the moderating influence that Canada brings to world power politics, but our important role in easing global tensions would be soiled if the only UN organization headquartered in Canada left. This is a crucial time for action. Canada, Quebec and Montreal must demonstrate that they value ICAO’s presence in our community, or they may fail to dissuade ICAO delegates from moving to Qatar. The good news is, the initial response of political leaders at the federal, provincial and municipal levels has been quite positive. That momentum must not be lost between now and late September, when ICAO delegates begin their debate on whether to stay, or leave, Montreal. 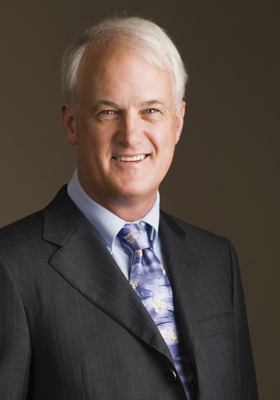 Paul Stephen Dempsey is Tomlinson Professor of Global Governance and Law at McGill University. He is also director of the McGill Institute for Air & Space Law, and author of more than 20 books on aviation law, economics and public policy.